Microsoft Project – What is MS Project? Visualise, develop plans and control project schedules and finances. Manage people and work assignments to make sure that projects complete on time. Process and present project information using reports. 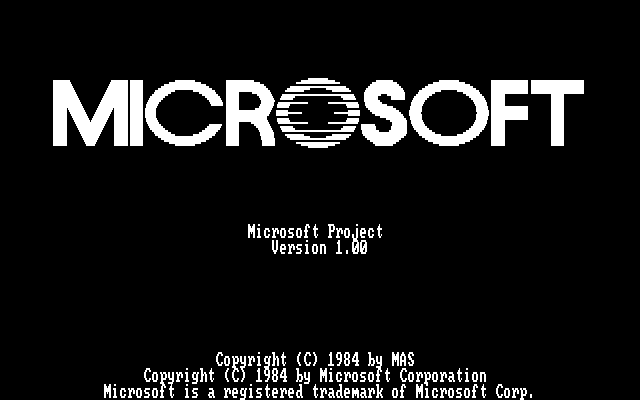 Written for the IBM PC, ‘Project’ was originally a DOS computer program. Ron Bredehoeft, a PC-enthusiast who had been connected to IBM, launched a company, Microsoft Application Services (MAS), while developing the first version of ‘Project’. MAS later signed an OEM (original equipment manufacturer) contract with Microsoft Corporation. 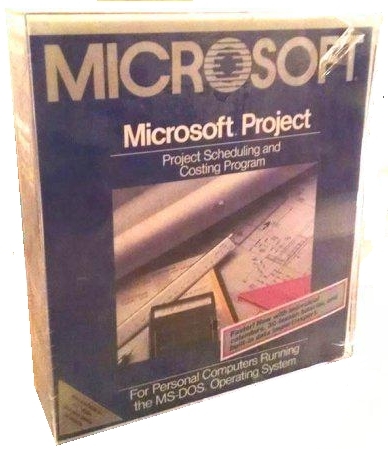 This program was introduced by Alan M. Boyd, Microsoft’s Manager of Product Development, as a possible tool to help with the management of many internal computer software application projects that Microsoft had been developing. Boyd wrote the specification and hired a Seattle-based company to produce the software. First version to contain the Office Assistant, and to use the Tahoma font in the menu. Allows a single-user to easily create powerful reports to measure project details and communicate project progress effectively with project stakeholders and team-members. Includes all the capabilities in Project Standard 2016 plus online networking and teamwork capabilities. Easily start and manage projects through-out the project life-cycle while maximising the power of SharePoint or Office 365 to work from almost any place. This version allows you to video-call, voice-call or instant message members of the team. Automatically keeps the user up to date with the most recent version of Project Professional by using a subscription, through Office 365. The computer program (with options for customizable policies) allows users on the go, to work from any computer by streaming the complete desktop client using Project on Demand. Provides a flexible online solution for project portfolio management (PPM) and everyday work. Delivered through Office 365, Project Online enables organisations to get started, prioritize project portfolio investments and deliver the intended business value—from almost any place on virtually any device. PS 2016 is an adaptable, on-premise answer for project portfolio management (PPM) and ordinary work. Colleagues, project team members, and business leaders can start, organize project portfolio investments and communicate the expected business value from almost any physical location. Server 2016 requires that SharePoint 2016 be installed, which is bundled independently. MS Project 2016 allows users to have multiple timeline bars and custom date ranges all in a single view. Functionality introduced to facilitate coordination between Project Manager and Resource Manager over resource planning. In the past when changing from one version of MS Project Professional version to the next, you had to also upgrade to the next version of Project Server. Not so, an upgrade from Project Professional 2013 to 2016 is eased by this product being able to still work seamlessly with the earlier version of the server. Uses the new Office query assistant – ‘tell me what you want to do’. Adaptable Reports: Users can make proficient reports without needing to move the information to an alternate system. This incorporates including pictures, diagrams, movement, and joins. The new design and designing abilities for reporting. Include or omit components from these reports, including changing colours. Shows arranged work, finished work, and remaining activities as lines on a diagram. These reports give both initial status, and progress displaying whether the project will end early, on time or late. Begin an IM session, an email, or a telephone call with colleagues by clicking on a team member’s name. This permits users to highlight the connection chain — or path — in a complex Gantt Chart. When you click on a path, each piece of its predecessor assignments appear in one color and each piece of its successor tasks appear in an alternate shade. Set project dates up to 12/31/2149 – a century longer than Project 2010’s limitations. In online gatherings, clients can now share Project reports, courses of events, or information as PowerPoint slides, Word records, Excel spreadsheets, and OneNote notes from any connected gadget, regardless of whether Office is or is not loaded. Empowers clients to get to and offer Project timetables, Excel spreadsheets, and other Office documents. With Project Online, clients can use Project from pretty much anyplace, even on PCs that don’t have Project 2013 loaded. A stand-alone client-version of the PC program. The desktop is the focus of this edition. Incorporates all the abilities in Project Standard 2010 and also shared features that let clients co-operate with each other when linked to Microsoft Project Server 2010. Maintains task data and information on the server. Project Server facilitates multiple clients accessing information through either Microsoft Project Web Access or Microsoft Project Professional. Gives you a chance to distribute a schedule as a SharePoint 2010 file and get task updates from colleagues and keeps the two matched when either changes. This feature gives you the ability to set task start and end dates with point and click. Presently you can make a project plan regardless of whether or not you have all items confirmed. Microsoft Project 2010 allows Dates or Duration fields to be entered and ammended later once these items become more definite. You can likewise perform what-if scenarios that investigate making assignments dynamic or idle to see what sway it has on your calendar, assets, and plan. This view displays the entire schedule in a model that is simple for junior administrators to comprehend. This item allows you to move and customize resources (materials and people) to be assigned to different project tasks. On the off-chance that an assignment has a booking clash or a resource is over-designated, this gives you a method of settling the issue.